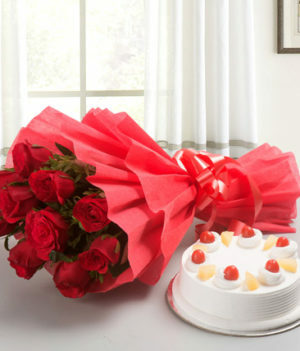 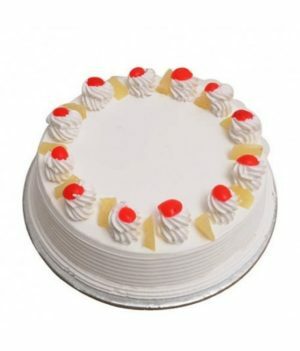 Make your love one day more special send beautiful combo 10 yellow roses bouquet and 0.5 kg pineapple cake. 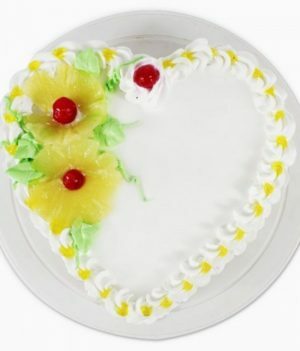 Looking for an excellent gift to celebrate Friendship’s Day? 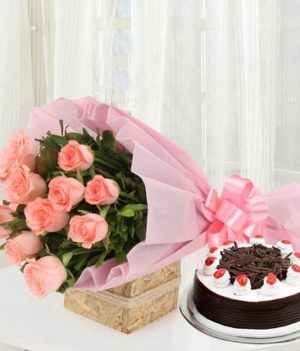 This excellent combo from wishbygift.com will certainly make the special occasion of friendship memorable for you! 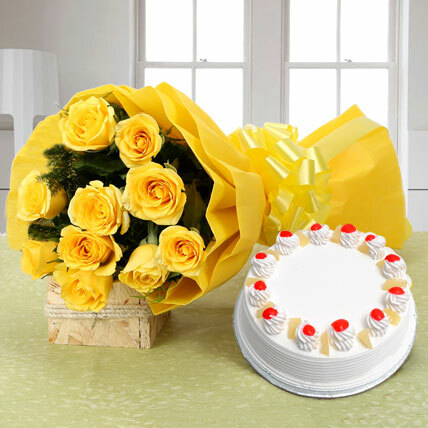 This combo contains enthralling yellow roses wrapped up in paper packing with ribbon embellishment and a pineapple cake. 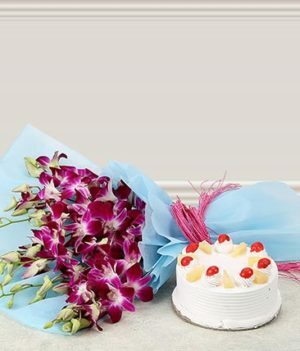 Grab this combo and light up the party mood with your friends.